The Shropshire County Age Group Championships are the most prestigious event in the Shropshire swimming calendar, allowing swimmers from all clubs to compete for the title of County Champion in their event. It is also a great chance to gain real race experience in a friendly environment, and gain qualifying times for even further events like the Midlands (regional) Championships. The Top 3 swimmers in each event get a medal to celebrate their achievement, and all swimmers are recognised for their participation. The event will be held over two weekends – 18th-19th February and 28th-28th February 2017 at Wolverhampton Central Baths. If you want any help PLEASE ASK COACHES or a member of the Committee. THIS IS A MUST DO EVENT OF THE SWIMMING CALENDAR. The dates are 18th-19th February and 28th-28th February 2017 at Wolverhampton Central Baths. Entries for the Competition, the entry fee must reach the Honorary Gala Coordinator by midnight of the closing date as specified by the Executive Committee. All entries shall be made by electronic entry with file sent by Honorary Gala Coordinator. Entry times must be equal to or faster than the Qualifying times published for each event. All submitted entries will be deemed correct and not open to alteration. a: there will be no refund of entry fees for any entry submitted with a time outside the published qualifying times. b: the slowest entries within the qualifying times may be rejected at the discretion of the Promoter to comply with designation criteria. 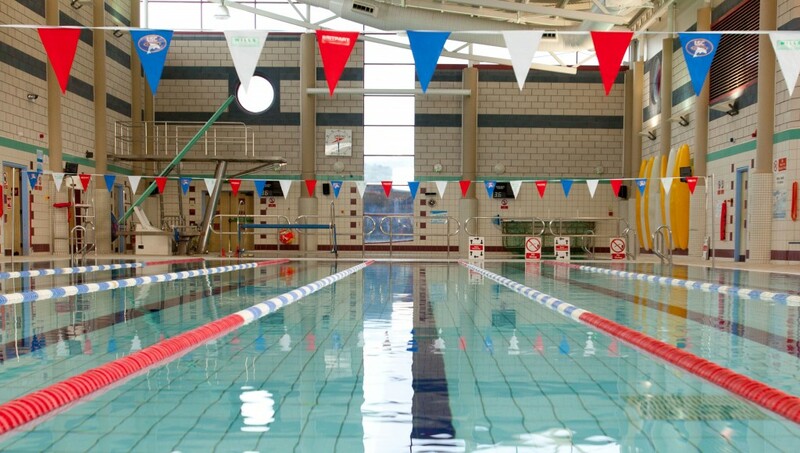 These Championships will be run on a no entry card system, whereby all swimmers are deemed to be competing and must withdraw from an event by a specified time. A Schedule of accepted and rejected entries will be sent to each Club. Withdrawals from events must be made in writing by either the relevant Club coach or nominated representative by the time specified by the promoter, and posted in the box provided for that event. One withdrawal form per event Decisions on late withdrawals and penalties will be at the discretion of the Promoter. Failure by a swimmer to withdraw by the specified time will result in the swimmer being excluded from any remaining events they may be entered for. There will be no Time Only Swims. All competitors must wear costumes which conform to ASA Laws and Technical Rules. Swimmers are expected to conduct themselves in a correct manner and display a good standard of behaviour both on and off poolside. Competitors must have been a bona fide member of a Club affiliated to Shropshire County ASA for a period of not less than 30 days prior to the first date of competition and be registered in accordance with ASA Laws. A swimmer who enters or takes part in these Championships must not represent another County or compete in or have competed in another Counties Championships in the same calendar year. Should a swimmer be found to have broken this rule, their recorded times shall be removed from the results and any medals won shall be returned to the promoter. A swimmer can only swim for one Club in individual events. All officials will need to be licensed for the job that they have been allocated. Entry acceptance is based upon the Qualifying times as published. All events shall be seeded on submitted entry times with the last three heats in the 50m and 100m events cyclically seeded and the HDW spearheaded based on slowest to fastest. 12, 13, 14, 15, 16+. These will only be accepted by the Referee in accordance with ASA Laws and Technical Rules, and, where possible will be dealt with by the Referee or Jury of Appeal, if one is appointed. For practical purposes of expediency the Promoter reserves the right to change the order of events in the programme with the concurrence of the Referee and the competitors or their representatives. County Age Group Records are times set in the County Age Group Championships only, and may be achieved in any of the events in the programme. Times achieved in official county trials or at any other event will not constitute a County Age Group Record. Awards will be made to the first, second and third placed swimmers in each age group of each event. Any swimmer in a Medal position must have achieved the qualifying time for that event on the day. Any swimmer failing to make the qualifying time on the day,WILL NOT receive a medal. Presentations will be made to the top boy and girl in each age group based on position points. In the event of a tie, the result will be decided by count back of the number of first, second and third places to decide an overall winner. The Executive committee shall be the Promoter. For the practical purposes of administration, the Honorary Gala Coordinator shall be deemed the Promoter on the day, or a designated person nominated by Honorary Gala Coordinator. Any matter not covered above will be dealt with at the discretion of the Promoter. These Championships will be swum Age as of the 31st December. A decision will be made after the results have been checked for swimmers recording times outside the qualifying time for the events entered. The Club may be fined at the discretion of the Shropshire County Executive. a: the club will pay a £10 fine. b: the swimmer will be excluded from the remaining Championship events, until the fine is paid. The use of Training Aids are not permitted during the WARM UP.